Original version published in Brodie et al. (2011), with updates made on an ongoing basis. The Table is ordered by absolute magnitude, and a key to the references is provided at the end. Note that this table differs from others by including only distance-confirmed objects, and hence has zero contamination. The table below lists Lick spectral indices for globular clusters, outside of the Local Group, observed with the Keck telescope that have HBeta errors less than +/-0.3A (roughly +/- 4 Gyrs in age). Some VLT and Gemini telescope data add comparable high quality data to the literature (eg Kuntschner et al. 2002, A&A, 395, 761) publish Lick indices for 10 globular clusters that meet the criterion above). 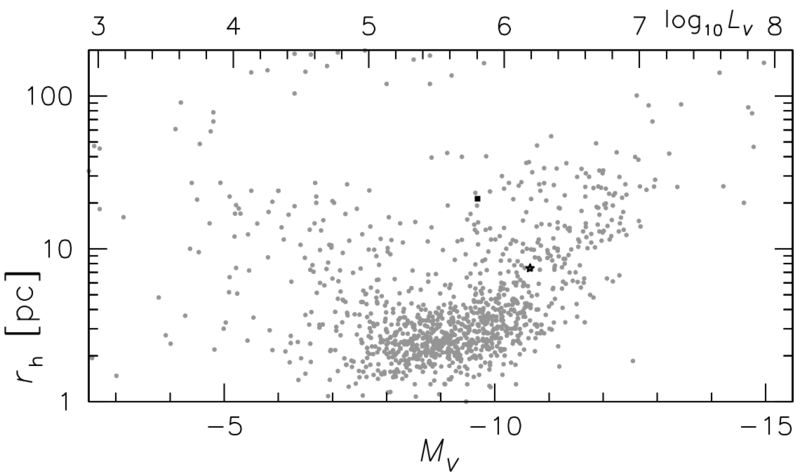 High quality indices for several M31 GCs are published in Beasley et al. (2004, AJ, 128, 1623). Please contact Duncan Forbes dforbes(AT)swin.edu.au) before publishing any data from this table. The current version of the table is dated 8th Dec. 2004. See below table for notes.